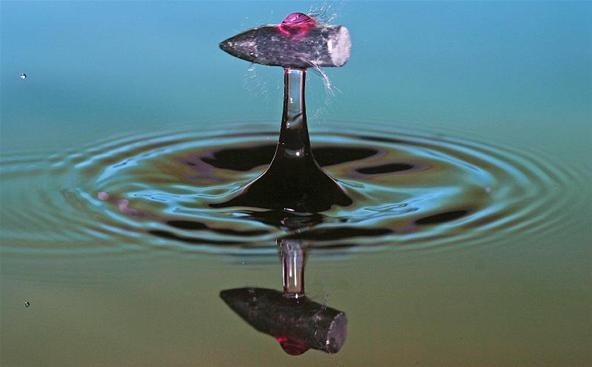 Alexander Augusteijn captures one of the world's most deadly projectiles slicing through the Earth's delicate water droplet. 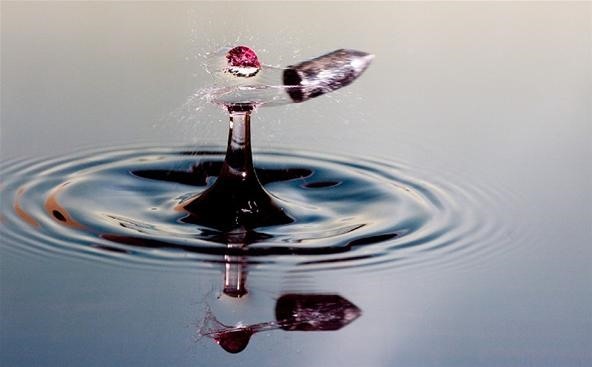 "I am a photographer from the Netherlands, specializing in high speed photography. I use a normal flash to achieve very short illuminations. The most critical parameter in this kind of photography is timing, which is achieved by computer control of shutter, flash, valve, gun or whatever other device is used. These kind of images require a lot of experimentation, dedication, patience and willingness to endlessly clean spill of liquids and debris from objects shot to pieces. Several hundreds of trial shots may be needed to get timing correct. After that, the process is pretty well controlled, and often half of the shots will be usable, with 1 out of 10 really interesting." Art Borne From the Barrel of a Gun. 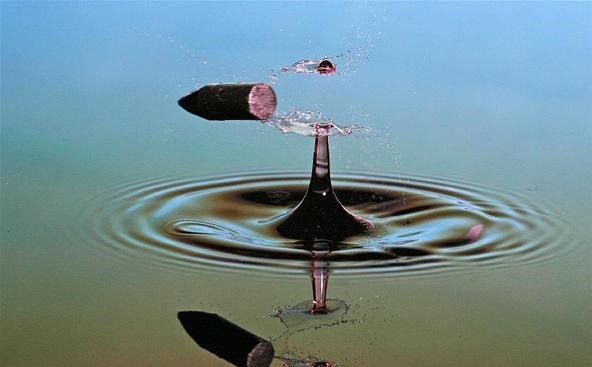 What did that drop of water do to you to go and have to shoot it. R.I.P. 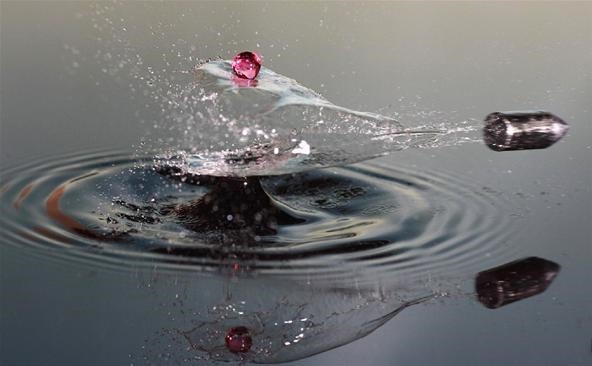 drop of water.